It’s iOS Virtual Machine day! Nowadays, a great news is making a splash on social media. What is it? People are much excited and curious to know about this fantastic news. 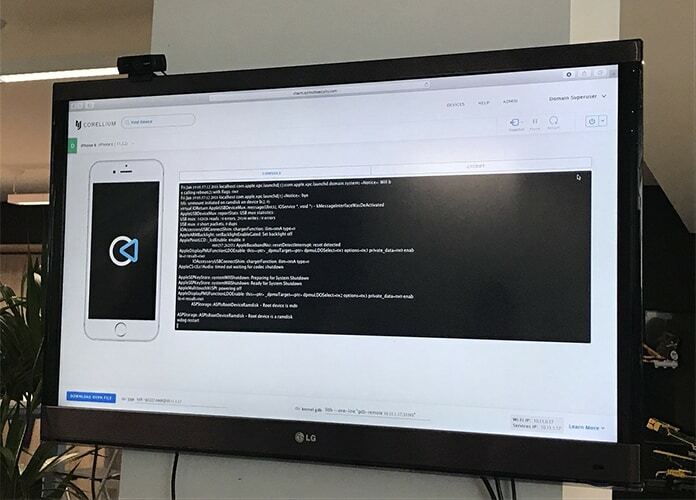 Recently a company called “Corellium” claimed to be the first business to offer a virtualized iOS device experience to developers as well as testers. What iOS Virtual Machine Will Provide? All above questions are perfectly valid one as there is sometimes a lack of understanding involved in the differences of simulation and emulation or virtualization. Recently, Apple introduced an iOS Simulator experience with its main developer tool, Xcode. iOS simulator allows you to quickly prototype and test builds of your app during the development stage. It is installed as part of the Xcode tool. Moreover, simulator runs on your Mac and it behaves exactly like a standard Mac app while simulating an iPhone, iPad, Apple Watch, as well as Apple TV environment. Hence, iOS simulator allows developers to run apps and experiences on simulated versions of the company’s devices. It also utilizes the resources of the machine on which it is installed. Just imagine the simulator as a preliminary testing tool to use before testing your app on an actual device! Now people say that what Corellium is looking to do is more similar to how Android applications are tested and run by offering a full and complete virtualized experience. Experts say that this experience is identical to running the software or a service on a physical iOS device. But all this is without actually having to have the expense as well as trouble associated with owning each iPhone or iPad. Corellium is Putting Steps Into the Future! 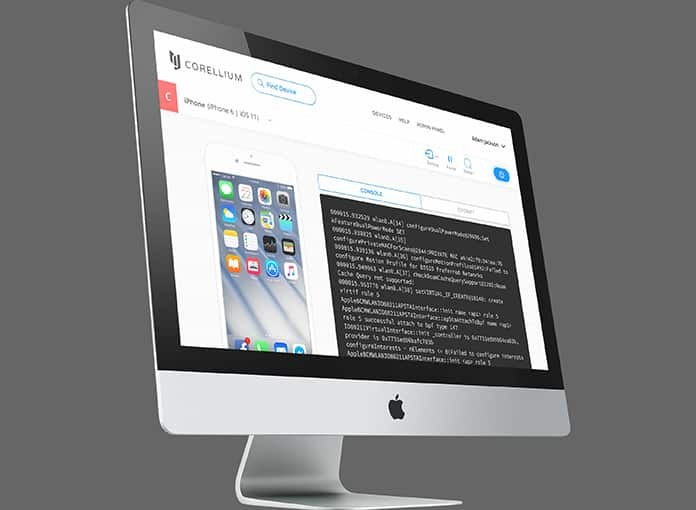 The company “Corellium” is defining an iOS Virtual Machine as the “future of mobile development”. An iOS Virtual Machine will give the developers instant access. As a result of this, they can be able to run their creations on virtualized iPhones and iPads on a Mac or PC which are running actual real versions of iOS. This should instantly eliminate a lot of the issues as well as limitations which are associated with simulated testing. There are a lot of benefits of this new creation. This iOS Virtual Machine experience would also allow testers, researchers, as well as developers to install a pre-jailbroken version of iOS to the virtualized experience in order to test and demonstrate new tweaks and experiences! In fact, people know a little about the company behind this at the moment but we do know that this is the same tool that was demonstrated by Chris Wade (@cwdotme on Twitter) a little while back. Moreover, people also know that it will come integrated with a web-based version of Cycript, put together by Jay Freeman ‘saurik’. When more useful information becomes available of the Corellium iOS virtualization experience, we will definitely let you know with immediate effect. We will also let you know how it can benefit the jailbreak community going forward. Moreover, those who are looking to get an early hands-on experience on the tool can request an early access for March release over at corellium.com.